President Trump told his supporters that he was not caving to Democrats on his promised border wall after he agreed to end the partial government shutdown for three weeks without the $5.7 billion at issue. Trump said in a tweet Friday that he feels his words have been misunderstood as the stalemate to reopen the government comes to an end, at least temporarily. “This was in no way a concession. It was taking care of millions of people who were getting badly hurt by the Shutdown with the understanding that in 21 days, if no deal is done, it’s off to the races!” he wrote. 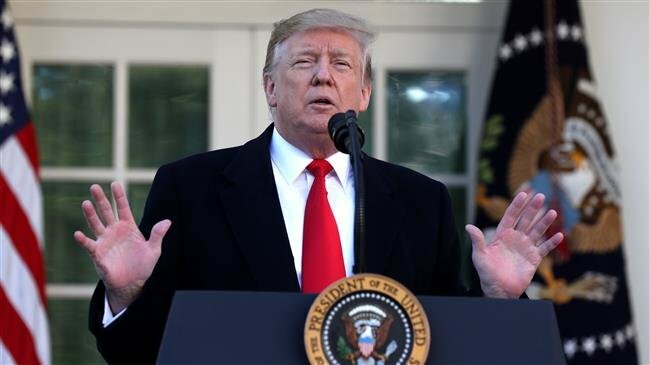 The hashtag “#TrumpCaved” trended on Twitter on Friday following the president’s announcement, a day after he proclaimed “We will not Cave!” on the social media site. About 800,000 federal government workers have been furloughed or were working without pay during the shutdown. They are expected to receive back pay for their two missed paychecks. The partial shutdown stretched into its second month this week as Democrats refused to bend to Trump’s demands for $5.7 billion in funding for a wall along the U.S.-Mexico border. A day later, Trump announced in the White House Rose Garden that a deal had been reached to reopen the government for three weeks. The deal did not include any funding for a border wall.